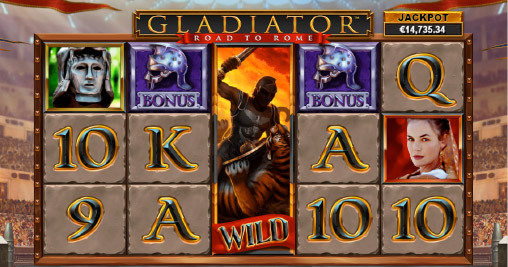 Gladiator Road to Rome is the newest mega slot at Fly Casino. A splendid 5-reel, 25-payline progressive jackpot slot offering you the chance to take home over $1.8 MILLION! Based on the iconic 2000 film which won multiple Ocsars, the game can be played from $.75 to $25.00. Graphically, Gladiator Road to Rome is newly enhanced with a Gladiator Wild symbol. It substitutes for all symbols except the scatter and bonus symbols. Extra Wild Symbol – a randomly chosen symbol becomes an extra wild during the feature -awesome! Symbol Pays as Scatter – a symbol is chosen to expand and pay non-adjacent on a payline– we loved it! Gladiator Wild Nudge – when a Gladiator symbol lands partially on the reels, it nudges to turn the whole reel wild. Amazing! You have to try this new slot! Quad Play Sunday! On Sunday from 00:00GMT until 23:59 GMT, all members on their first deposit of just $/£/€30 or more will receive a $/£/€40. Claim 4X! $50’s X 2 Slots Bonuses! From 00:00GMT until 23:59 GMT, all members on their deposit of $/£/€30 or more will receive a 100% bonus up to $/£/€50.00 bonus. Claim it 2X!